Clinically designed for skincare professionals, LC Peel offers a complete line of single ingredient solutions and unique blends for every indication and all skin types. LC Peel products may be used in a series or combined with other aesthetic treatments to achieve the desired outcome, depending on the judgement of the skincare professional, the patient’s history, skin type, indications, intensity of the peel and the goal of the treatment. 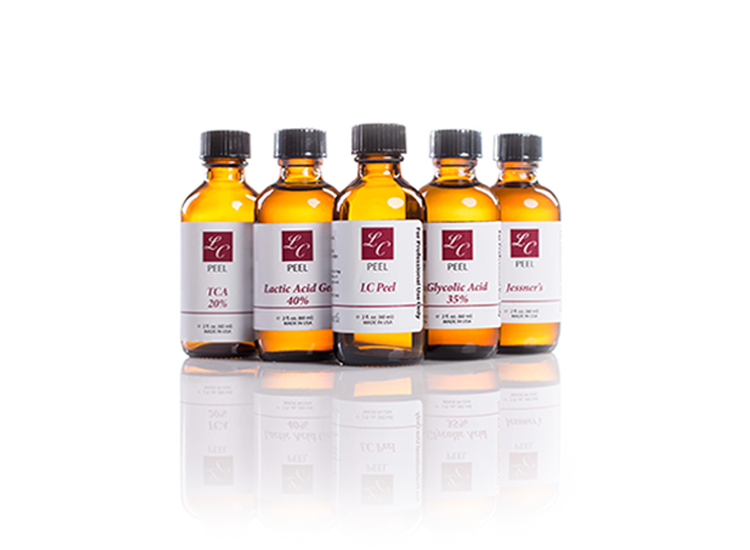 Contact us to inquire about LC Peel products for your practice. Copyright LC CELL 2017. All Rights Reserved.